Personalized khaki 62” arc vented golf umbrellas are usually seen of golf field carried by golfers. This umbrella buys attention with its extra large canopy, impressive color profile and wind resistant features. 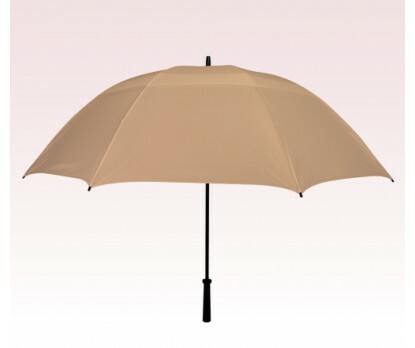 Most of the times such umbrellas are sponsored by sports marketers or brands, which wish to reach out to targeted customers in a fast and easy way. 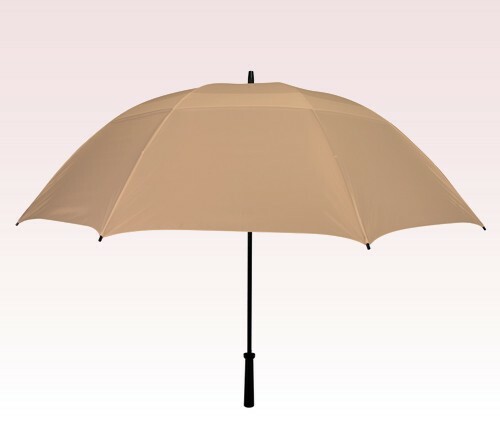 Features - 62” Arc khaki nylon fabric canopy, windefyer vented canopy, manual open function and fiberglass frame. Upgrade shoulder strap sleeve. Dimensions - 62" arc - Closes to 39". Imprint area - 10"W x 8"H.